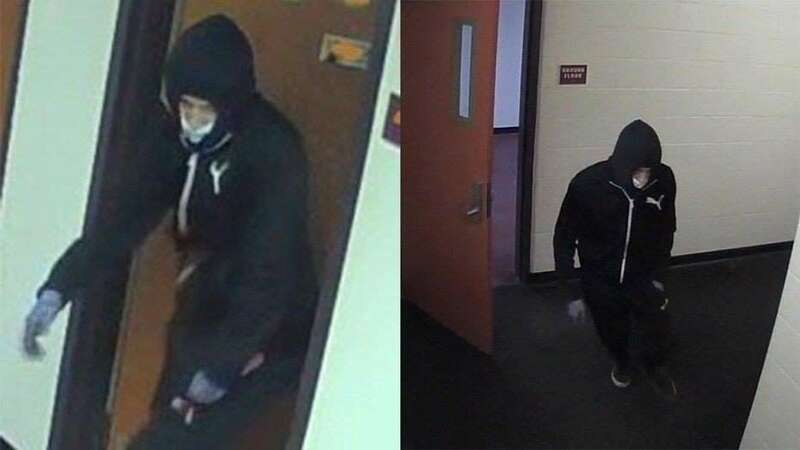 Binghamton University police released images of a suspect in the deadly stabbing of a 19-year-old student in a campus dorm room Sunday. Michael M. Roque, 20, has been charged in the killing of 19-year-old Joao Souza, a freshman, authorities said. Roque has pleaded not guilty. Souza, an engineering student, was attacked at about 10:30 p.m. Sunday in a residence suite on the campus near the Pennsylvania state line. Souza had previously attended high school in New York and was a native of Brazil, where family was notified, according to the university. Earlier in the afternoon, university police released surveillance photos of the suspect wearing dark pants and a dark, hooded sweatshirt as they asked for the public's help. Police searching for the suspect were being aided by forest rangers in wooded areas. The school, one of the four university centers in New York's sprawling state university system, canceled classes Monday due to the "tragic event." Counseling was being offered to students and staff.